The Jewish Telegraph Agency reported that in a $2.4 million restoration project, Austria is to renovate the site of the Mauthausen concentration camp. The two-year project includes building a hall of names in memory of the camp’s victims, similar to the one at Yad Vashem in Jerusalem, and a new display about the Shoah and upgradings of the permanent exhibition. At least 95,000 prisoners died in Mauthausen; more than 14,000 of whom were Jewish. About 200,000 people visit Mauthausen each year. Last week in London, two men were arrested by the police when a pro-Israel protester, standing outside the School of Oriental and African studies was bitten on the cheek and subsequently taken to the hospital. 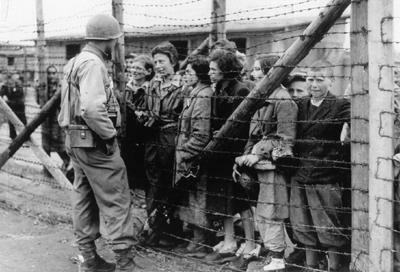 the best thing the Jews had ever done was to go into the gas chambers. Meanwhile, an IDF officer suffered slight injuries on Yom Purim during a scuffle on Yehuda Hayamit Street in Jaffa. A captain in the Armored Corps, the officer was attacked from behind by an unidentified assailant while sitting on a bench. The assailant stabbed him once in the chest and snatched his rifle. The officer was evacuated to the Sourasky Medical Center in Tel Aviv. Meanwhile, on Saturday night, Hamas men broke into a Reuters office in Gaza and assaulted one journalist, clobbering him with a metal pole and breaking his arm. Hamas is divided over Mahmoud Abbas’ offer to visit Gaza and conduct conference with Hamas leaders about the formation of a Palestinian Unity government. Editor-in-Chief of the Jerusalem Post, David Horovitz, gave a 100 second video monologue on Thursday on the JPost website, emphasizing that “Israel wants to be joined in this region by democracies…” Certainly, when the United States went after Saddam Hussein and the Taliban, the great dream was for democracy throughout the Middle East. However, Israel and the United States that facilitated the surrender of Gaza certainly failed to amplify the great cry for democracy in Egypt, until her citizens decided the time for revolution is now. Where were Obama and the other democracy superheroes when putting Mubarak at the helm of negotiations between Mahmoud Abbas of the Palestinian Authority and Netanyahu? And Israel is supposed to listen? To halt construction in its own capitol? 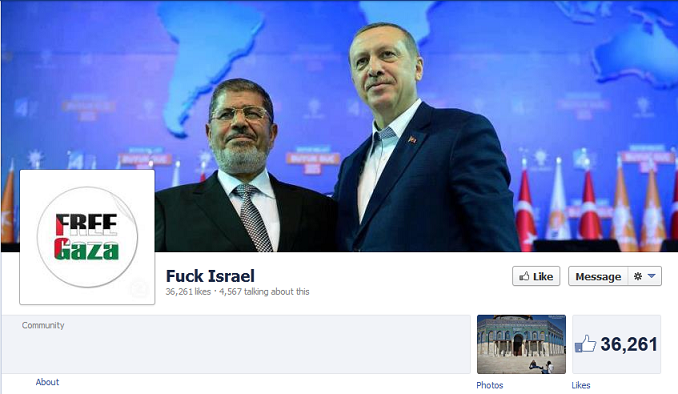 This is not to call Horovitz a left-slinger, or one who is not an opponent of the Muslim Brotherhood; he is an expert. I was just taken aback by his relaxedness. Visible on the cover of the Herald Tribune, one day, in the midst of chaos in Tahrir Square, when the outcome was still unknown: was a sketching of Hosni Mubarak with a Star of David on his forehead, in the tradition of the “Protocols of the Learned Elders of Zion.” What could justify such vitriolic art? Because of a peace treaty with Israel? Is peace so bad? 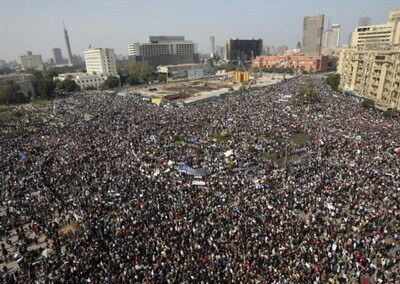 What exactly does Egyptian democracy have in mind? Hopefully it won’t threaten the lives of millions of Jewish children! When CBS correspondent, Lara Logan, was assaulted by a mob of Egyptians for 20 to 30 minutes, the attackers cried, “Jew! Jew!” Lara Logan is not Jewish. Nor does a political upheaval in the name of democracy justify the thrashing of a foreign journalist. What is missing is a pattern. 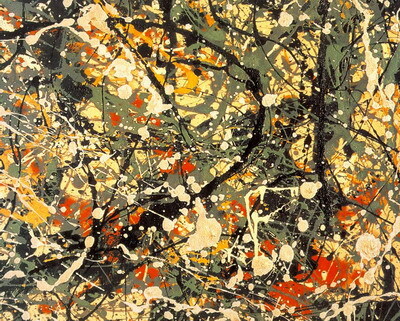 The Muslim Middle East, today, is without form, like a Jackson Pollock painting. Beautiful, perhaps. But one cannot pretend they see form or pattern where clearly there is none. What is more dangerous, the lack of democratically-run governments; or the anti-Jewish leviathan of extreme Islamism? For Obama or Israel to side with “democracy,” means nothing, unless the intention is to create a dangerous bog of extreme Islamism that threatens Jews, which is what a “democracy” run by the Muslim Brotherhood, would be; or, to put it fairly, risking Israel. The government in Israel is running smoothly. Why not sit back and enjoy this show that is devoid of form and pattern. Like visitors at a modern art museum. 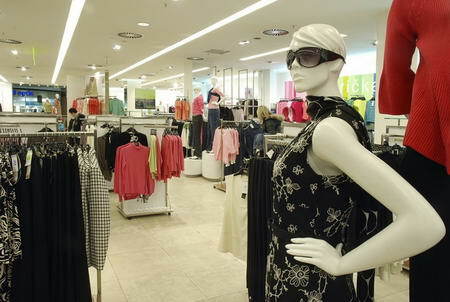 A WikiLeaks cable revealed that Libyan authorities adopted “repugnant anti-Semitic tactics” against the Marks & Spencer store in Tripoli, in an effort to have the store closed and drive the British company out of the country. The leaked memos, sent from the US Embassy in Tripoli, show that the anti-Semitic campaign became so violent that American officials were warned by Libyan government insiders that at least one high-ranking businessman, the Marks & Spencer franchiser, could be involved in a “fatal car accident”. The US Embassy warned Washington back in 2008 that attacks on the British retailer by Libyan officials “at the highest levels” risked causing irretrievable damage to bilateral ties with the UK. Not long after the store was launched, it was subjected to what the cable described as “persistent anti-Semitic rhetoric” by the Libyan government. The store was closed temporarily by Libyan authorities at least twice, and employees were repeatedly taken in for questioning and put under “close scrutiny” by security officials who, the ambassador warned, were used as a “strongarm adjunct in this political play”. Fundamentalism in Bosnia and Herzegovina probably deserves more attention as a sociological and political phenomenon, than it does in other European countries. It is a country with a very weak democratic and parliamentary tradition, until 15 years ago Bosnia suffered from extremely destructive war which in this case was more than just a civil war. 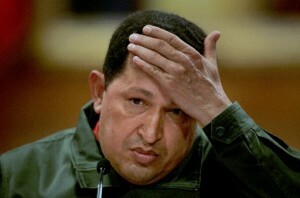 The territory of the country was literally trampled by many paramilitary forces and by ambiguous political regimes from both inside of country and the neighborhood. Today, Bosnia and Herzegovina, one of the rare European countries with a Muslim majority, struggles with a difficult political system, an economy that is in an unsustainable state. It has huge unemployment and corruption rates and the highest illiteracy rate in Europe. This small country is comprised of three constitutive peoples: Bosniaks, Serbs and Croats, which are characterized by three different and strong religious communities: Muslims, Orthodox Christians and Catholic Christians. Many of European and domestic officials have for some time believed that Bosnia might be the potential zone of rising terrorism. The terrorist attack in the town of Bugojno on the 27th of June and the case of the village of Gornja Maoca where, on the 2nd of February, Special Forces of Bosnian security agencies entered the isolated Wahhabi community are a few major incidents which exemplify the rise of Fundamentalism in Bosnia in 2010. 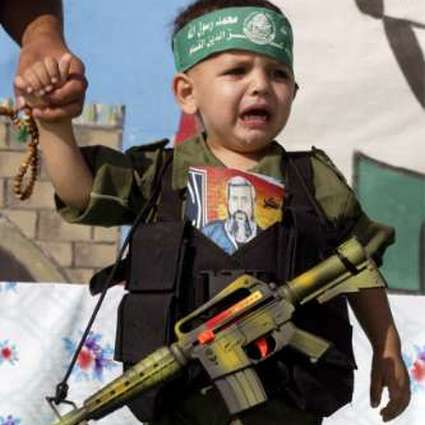 Fundamentalism seems to be growing in the country, notably among the youth and even in the youth intellectual circles. Individuals, shaken by uncertainty, search for ways to secure themselves. Several internet based sites promote the alternative ways of surviving. Domestic media promote Fundamentalism often enunciated by people close to clerical institutions. Said Samra, a 22 year old student of Sociology, about Wahhabi movement members in Bosnia. Male members of Wahhabi movement are easily recognizable on the street by their specific wardrobe and their long beards. Females are required to wear a hijab. It is widely believed, as Samra said, that members of Wahhabi and other similar groups came to Bosnia from the Middle East. This is actually not true. Most of them, about 97%, are domestic or from neighborhood countries. Said Selma, 21, other student from the University of Sarajevo, but she fails to say where that money comes from. When analyzing diverse forms of Fundamentalism there is one other term that is used a lot in the field and that is the notion of supremacy, although the groups following this ideology of supremacy usually avoid this term and often identify them self’s as a part of Neo-Nazi movement. In the Bosnia’s case, things are more specific. First of all there is an anti-Semitism, motivated mainly by the emphasized empathy of Bosnian Muslims exclusively with Muslims from Israel and Palestine. Many of Bosnian Muslim citizens are very critical of Israeli political decisions, and often blame Jewish people globally for most of today’s World’s problems. The wars on the Middle East are seen as pure aggression and never as a multisided conflict or civil war caused by complex dynamics on the region. There is actually inflexibility in the reasoning of the majority which is often governed by the notion of Muslims brotherhood and not by the fact that there are people belonging to no matter what ethnicity in the Middle East who are affected by or involved in war. Such deviation and generalization lead often to increasing of the prejudices’ against Jewish people, and fit into the concept of Neo-Nazi ideology. 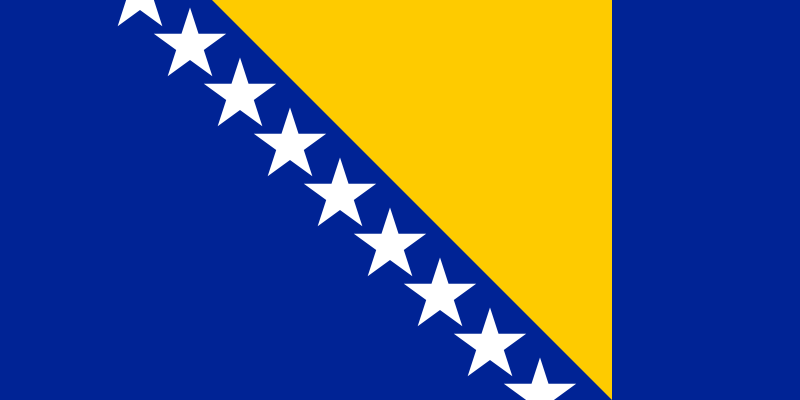 Bosnian Movement of National Pride is a Neo-Nazi group represented in February 2010 in Bosnia. Aside of proclaiming Jews as their enemies, this group lists many others: Gypsies, ex-Yugoslavian president and Communist leader Josip Broz Tito, Communists, homosexuals and blacks, than Chetniks (Serbian nationalist paramilitary organization), Croatian separatists and even radical Islamists. This group launched the site, where they declared radical views about Bosnian constitution, and made announcements of their future actions. Yet again, they are blaming the Zionists for the current disrupted state in the World. Today I went to buy my breakfast before going to my Faculty, but I didn’t know what to buy. Everything is produced by Jews. There was one ‘free’ Serbian company that produces food, but recently Jews bought it too. I don’t want to buy anything that is made by Jews. I don’t want to sponsor an evil. Says Amela, Medical student from Sarajevo. In general, Bosnian Fundamentalism is most often associated with Islamic terrorism. It is believed that Fundamentalism in Bosnia is getting stronger every day because of the lack of the political will to resolve the problem, and because of desperate economic circumstances that are getting worse with the time. Said Nihad, professor from Sarajevo, after Bugojno terrorist attack in June. Such situations are defining more and more the image of Bosnia and Herzegovina in Europe and the rest of the World. Government officials recently stated that there are three thousands of potential terrorists in the country. It remains to be seen if freshly formed Government can change directions of ideological temptations in Bosnian society. It is believed, also, that the travel visa free regime, that Bosnia is about to reach in few months, will assist in opening up communications and help to deflect people from fundamentalist ideas. The Israeli Government and the IDF coordinated the delivery of a variety of Humanitarian Aid and Development Assistance to the civilian population in the Gaza Strip, whose dire situation is actually questionable and whose peaceful disposition is a fallacy. The month of August saw a 41% increase in the net volume of truckloads entering Gaza, together with the ongoing discharge of the new policies approved on June 20th. These are including the establishment of a Joint Project Coordination Team between COGAT and the PA, which has already overseen various development efforts. In addition there has also been a near doubling of the capacity for imports via the Kerem Shalom Crossing since the month of May. 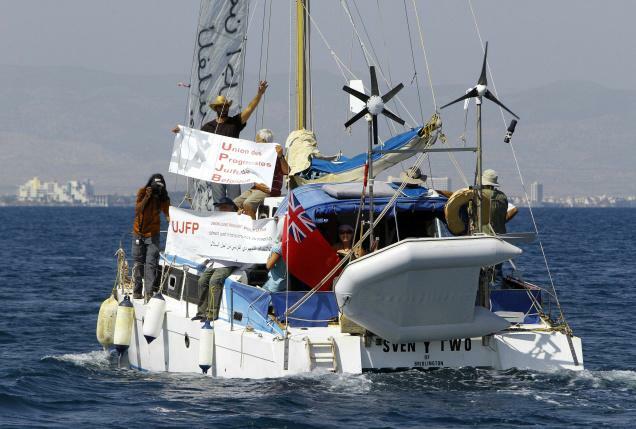 Tuesday afternoon, the Irene yacht carrying nine activists from the United States, Israel and Britain – which intended to single-handedly break the Gaza naval blockade was docked at Ashdod Port after being intercepted by the Israeli Navy. Thank God there was no violence. Despite opposing pressure and the grilling of senior officials throughout the summer the Jewish Country insists that the objective behind the blockade is simply to prevent arms smuggling into the Hamas-run territory. Since the end of Operation “Cast Lead” in January 2009, 500 projectiles – rockets and mortar shells – have been fired from Gaza at civilian targets in southern Israel. Therefore you can bet that Israel coordinated aid to the Gaza strip is a lot more effectual than silly Turkish yachts full of anglo-speakers, if what you have in mind or heart is actually the civilians. On a side note, I would like to bring to recollection today a few recent instances of Israel demonizing. Remember when Helen Thomas said this to Rabbi David Nessenoff? Q: Any comments on Israel? HT: Tell them to get the hell out of Palestine. Remember, these people are occupied and it’s their land. It’s not German, it’s not Polish. Q: So where should they go, what should they do? Q: Where is the home? Q: So you’re saying Jews go back to Poland, Germany? HT: And America and everywhere else. 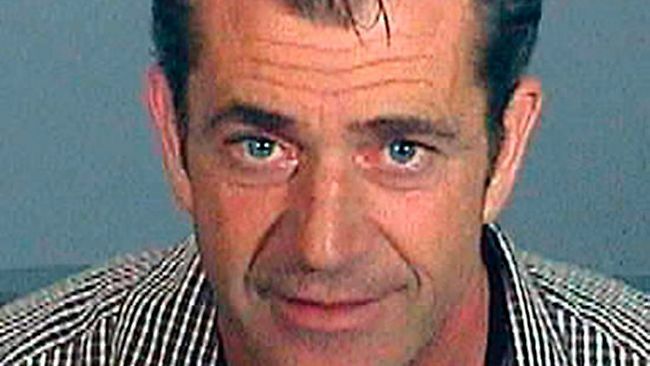 Well, right wing Hollywood hunk, Mel Gibson too apologized for his drunken anti-Semitic rant five years ago. 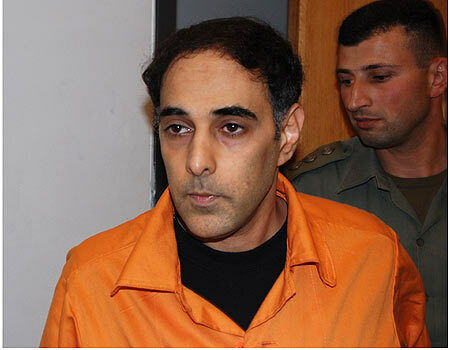 If indeed Zionism is virtuous – the world will not receive apologies from the Jewish Country when nine incognito Turkish Jihadist posing a pantomime peace activism are killed on board the Mavi Marmara. 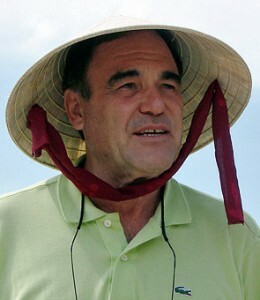 Nor can Richard Goldstone squeeze out guilt or remorse from the IDF concerning “Operation Cast Lead”. One party is propelled by survival and the other by anti-Semitism. Virtue does not regret its actions. Virtue does not apologize. And a Jewish State which fights for its survival is virtuous. And the famed director does not wane in his creative calling or his denouncement of demonization. What is so fascinating is that such a political and historical skeptic would not come to the side of Israel – the true victim and even the archetypal victim of demonization. Furthermore, is not anti-Semitic rhetoric really a kind of “funding” for neo-Nazism? Mr. Stone will be attacked for his comments by those who love America and by Jews who love themselves – just as Mr. Stone is attacked by critics for the historical and biographical motion pictures which he makes. The common denominator is his masterful misrepresentation of the truth. There is no defense for the artist who tells lies in the real world. His honorable occupation of story-telling on the silver screen loses credibility, you see. Aside from this, Stone should be aware: the true demon is within himself. Because of this, his art suffers. Jews in Oslo were taken aback over the weekend when the leader of the local Jewish Community, Anne Sander criticized haredi Judaism, the Chabad movement, the settlements and Foreign Minister Avigdor Lieberman. The remarks came in an interview with the Dagbladet newspaper, on the milieu of the situation between Jews and Muslims in Norway. 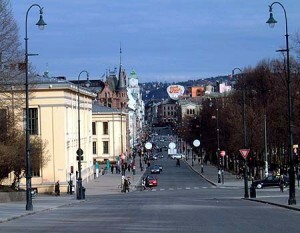 Only 1,100 Jews live in Norway today, most of them in Oslo. They live alongside more than 70,000 Muslims. Anti-Semitic incidents from the past few years include harsh statements made by Norwegian comedian Otto Jespersen, a plan by local Muslims to murder the Israeli ambassador and gun shots fired at an Oslo synagogue. The journalist who interviewed Sander has in the past compared former Prime Minister Ariel Sharon with Nazi leader Hermann Göring. The interview began with a poetic description of “the Israeli war machine”. Just in time for the festival of Pesach, Egypt’s culture minister says that it will shoulder the costs of restoring the country’s synagogue’s. Farouk Hosny says that his ministry views Jewish sites as much a part of Egypt’s culture as Muslim mosques or Coptic churches and the restorations would not require any foreign funding. 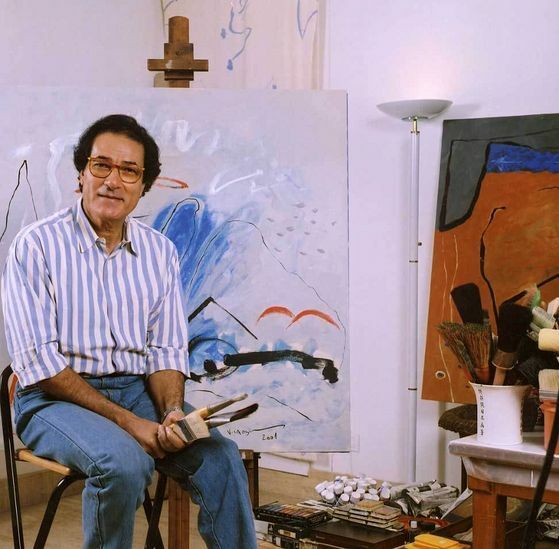 This marks a turn in attitude for the Egyptian artist and culture minister. On Sunday, the 12th century Ben Maimon synagogue, named after Maimonides, was rededicated in a ceremony including half a dozen Egyptian Jewish families who fled the country long ago. Hosny committed his ministry to restoring all 11 synagogues across Egypt, three of which have already undergone renovation. 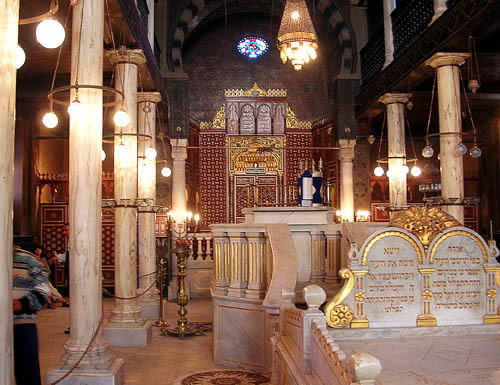 The most visited synagogue is that of Ben Ezra – located in Cairo’s Christian quarter near a number of old churches, was restored some years ago. “There were some lectures on the Jewish sites in Egypt and the temple. 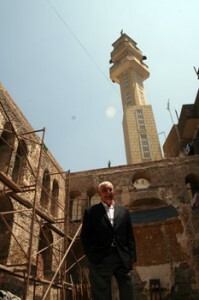 It was nice, emotional and nostalgic,” said Raymond Stock, an American “close” to the Jewish community in Cairo. The Jewish community of Egypt, which dates back millennia and at its peak in the 1940s numbered around 80,000, is down to several dozen, almost all of them elderly. 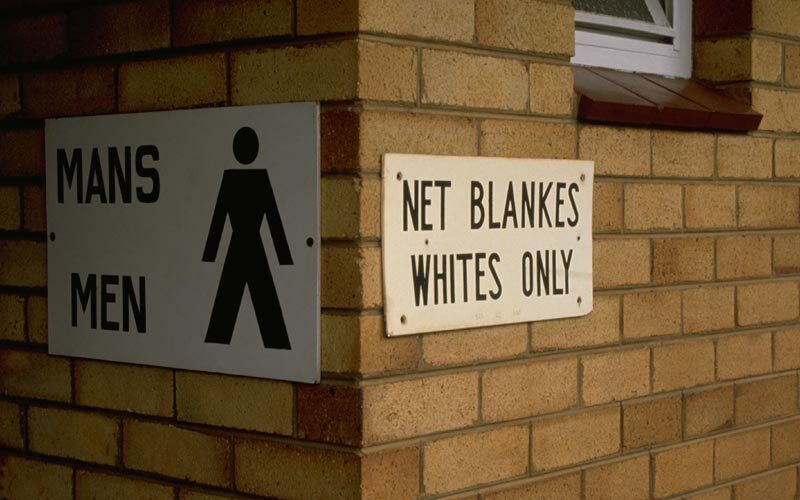 The remainder were driven out decades ago by mob violence and persecution. Egypt and Israel fought a war every decade from the 1940s to the 1970s until the 1979 peace treaty was signed. None the less, Egyptian vibrations remain deeply unfriendly to Israel, and anti-Semitic stereotypes still appear in the Egyptian media. During this time, Hosny’s candidacy raised an outcry because of a threat which he had made in the Egyptian parliament in 2008 to personally burn any Israeli book he found in the Alexandria Library.